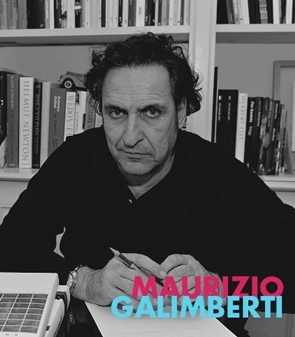 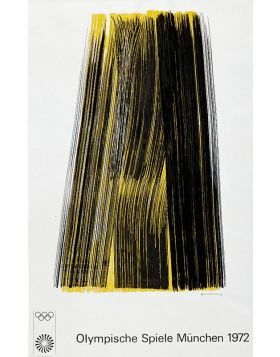 In this Maurizio Galimberti's artwork there is a recognizable anthropomorphic figure in an abstract composition. 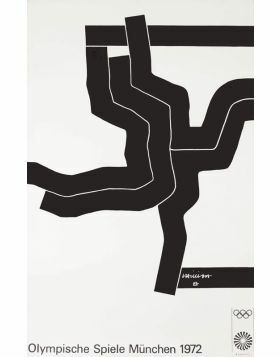 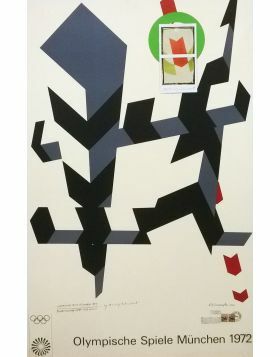 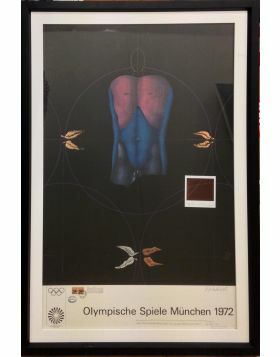 It is an artwork coming from the adjusting of an original poster by Horst Antes of the 1972 Olympic Games in Munich. 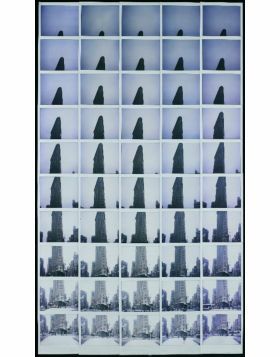 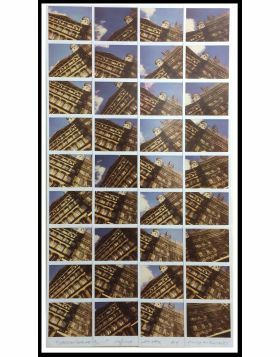 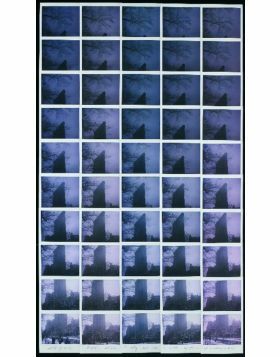 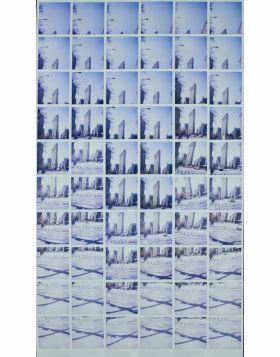 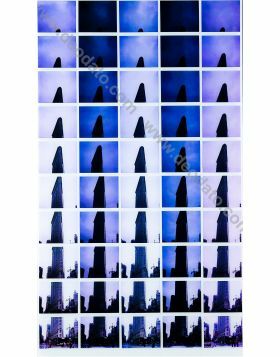 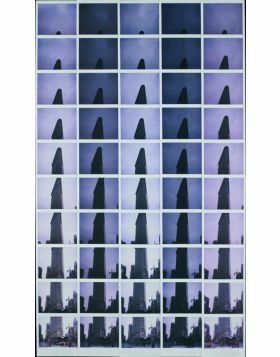 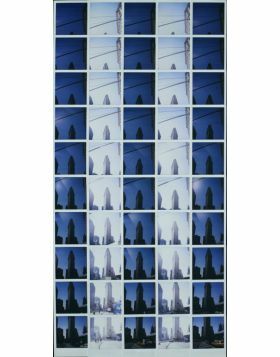 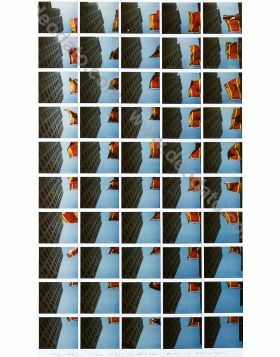 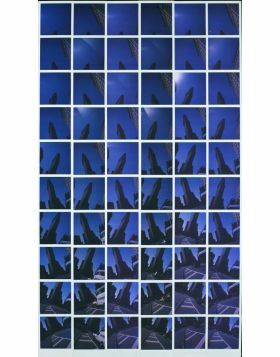 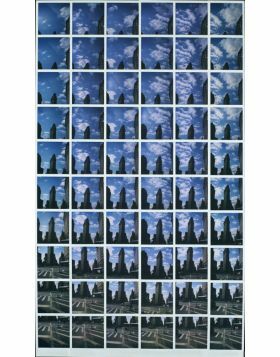 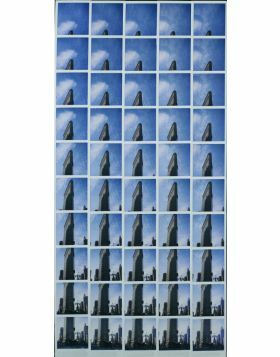 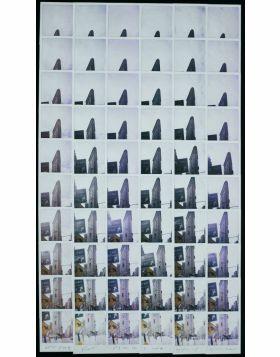 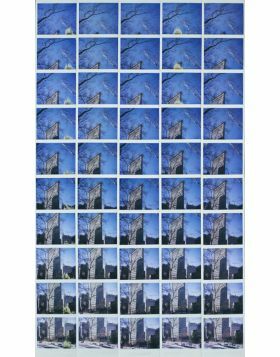 The artist intervenes in this sereis of works by overlaying to the image some polaroid pictures representig details of the original poster. 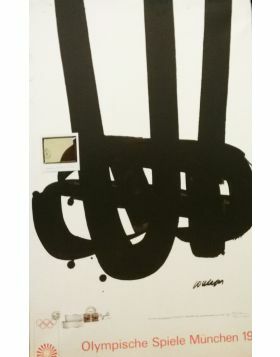 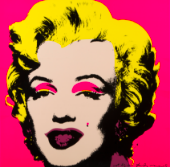 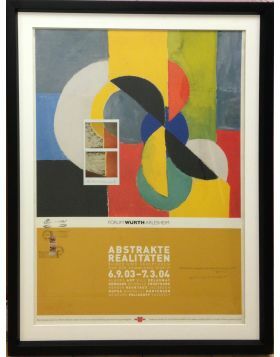 The artwork is provided by a black frame. 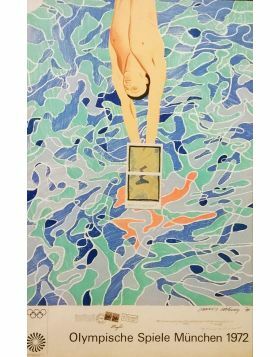 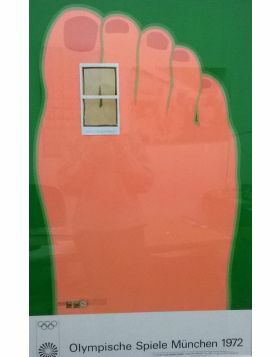 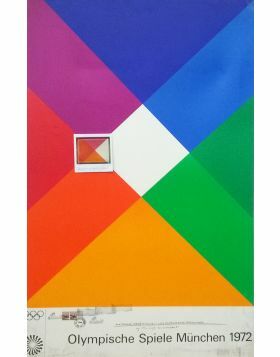 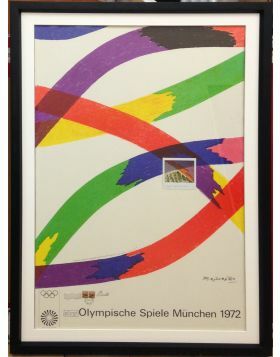 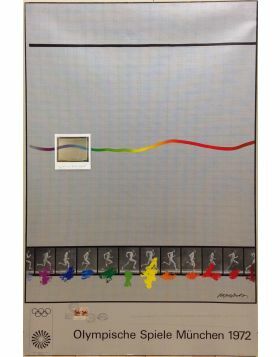 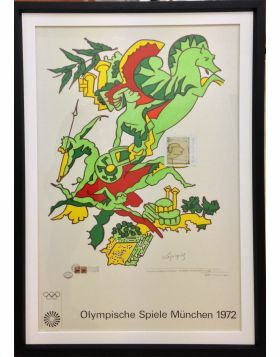 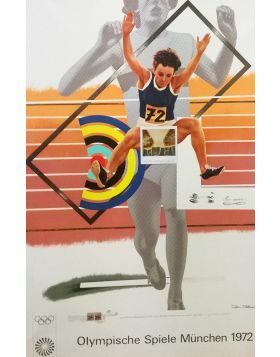 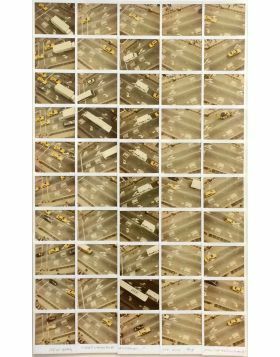 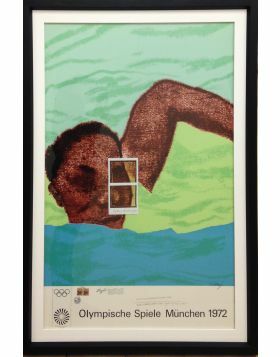 Original poster of the 1972 Olympic Games in Munich adjusted by the artist with the addition of polaroid pictures on a jute canvas.